We are now accepting submissions for the 2018 Excellence Awards! 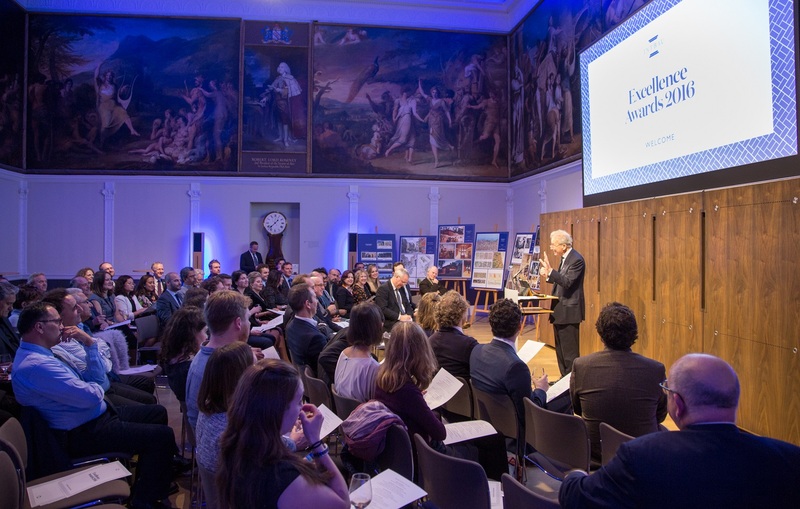 On 28th November immediately following the 2018 INTBAU World Congress, our third biennial Excellence Awards will be presented in the Great Room at the Royal Society of Arts. The ceremony will take place from 14.30-15.30, with a reception to follow. Award winners and highly commended candidates for all categories will be announced. You can find more information on the World Congress here. Nominations are sought from the global built environment community. There is no submission fee, and there is no limit on the number of submissions. Community Engagement: Submissions should emphasise the need for the engagement, method and process, community influence on design and outcome, and legacy impact. Results can be built or unbuilt. New Building: Submissions will be assessed for their use of materials and local knowledge, attention to context, and suitability to long-term use. Projects can be domestic or commercial, built or unbuilt. Urban Design: Submissions should demonstrate varied uses and tenures, attention to local assets, and legacy impact for stakeholder communities. Schemes can be built or unbuilt. Emerging Talent: This award will be presented to student work or the work of an apprentice or practitioner with less than five years’ working experience in their field, with assessment based on technical proficiency, artistic flair, and likely future impact on their field. Projects must have been initiated within the last ten years. Nominations should be sent directly to Emma Anderson (emma.anderson@intbau.org). maximum 10 jpeg images (suggested resolution of 300 dpi). If your project is short-listed, you will be asked to submit a full list of the individuals and organisations involved. The deadline for submissions is 9.00am GMT on Monday 8th October. Read about the award winners from our 2016 Excellence Awards here.